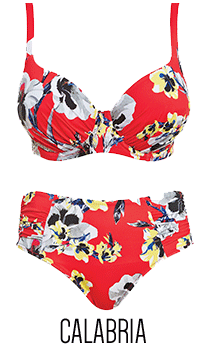 Uncover complete glamour with the timeless red swimsuit, returning this season as the must-have colour. Flatter your curves with the simply stylish Los Cabos collection featuring ruching details to flatter the figure. Or, opt for interesting details on striking red backgrounds with the San Francisco tribal print and the Calabria large pansy design.